Just like how good things come in small packages, the best décor hacks are the ones that take up little space and can squeeze into any corner of our homes. Enter the decorative ladder—the latest fashion-forward décor hack that kills two birds with one stone: It looks extra stylish, and it solves all our storage woes. Better yet, it's versatile enough to organise practically anything, from our throws to bath towels, and even our ever-growing shoe collections. We already believe in owning fewer but better things—so why hide them away? 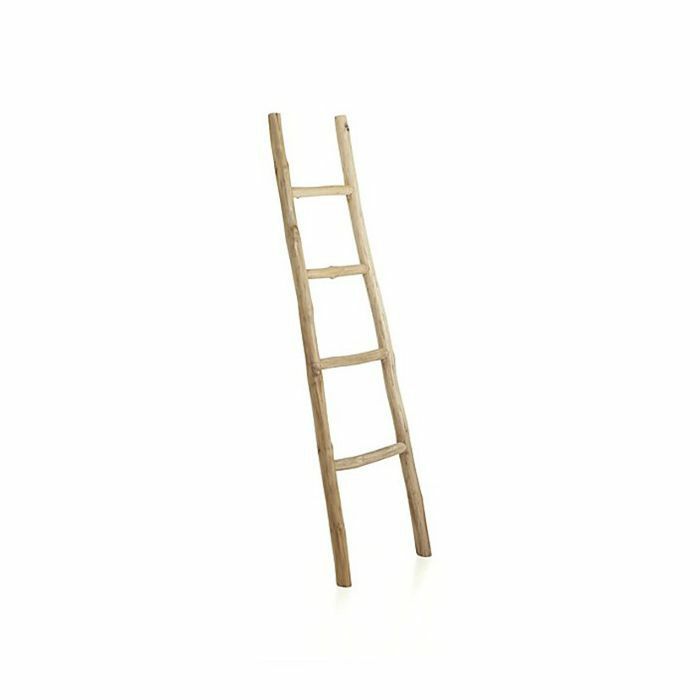 Better to keep them in plain sight to admire—and ladder décor might just be what your home's been missing. Room by room, we give this cool-girl favorite purpose so you can easily upgrade your storage in one quick step (Lauren Conrad is a fan, too). Ready to take your storage solutions to new celeb-approved heights? 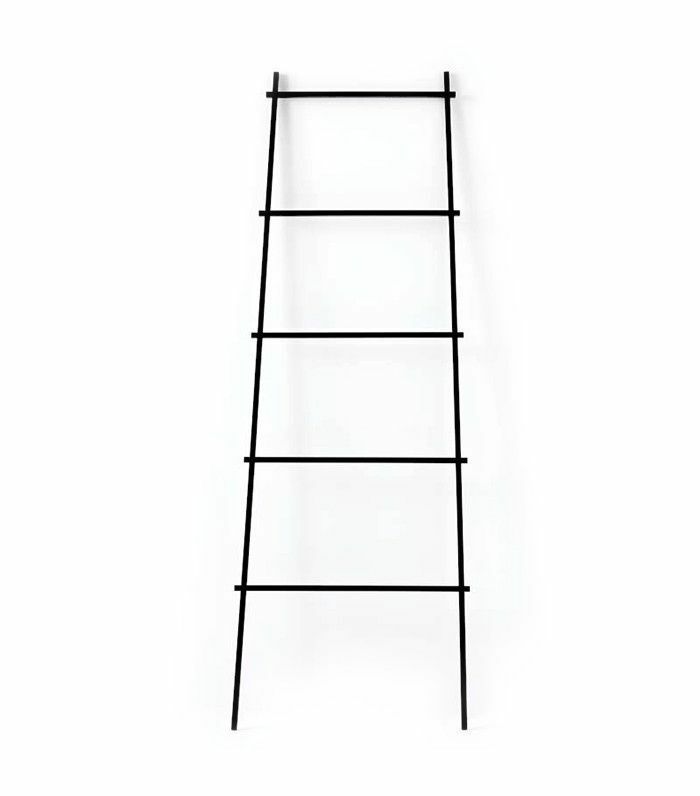 Add a stylish decorative ladder in every room of the house—we show you how. Taking up very little room, this clever storage hack is ideal for a small foyer. Use a decorative ladder to hang scarves, sunglasses, even bags. Hang small baskets to sort anything from mail to keys, or add a few magazines. Consider it your very own entryway station. 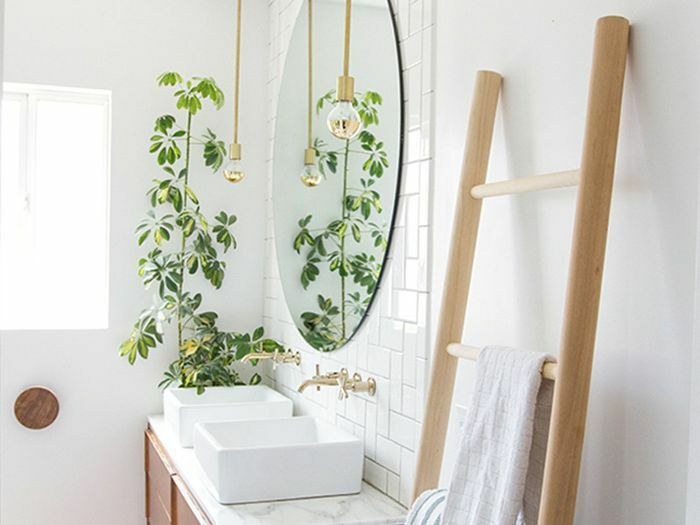 Take note from Sarah Sherman Samuel's bathroom, and add a wooden decorative ladder if you're short on towel storage. Add a few magazines to your ladder so you never run out of reading while taking a long bath. Just like in the entryway, a ladder in the bedroom can help solve a range of storage issues, including space for jewelry, throws, lightly worn clothes or, more importantly, shoes! 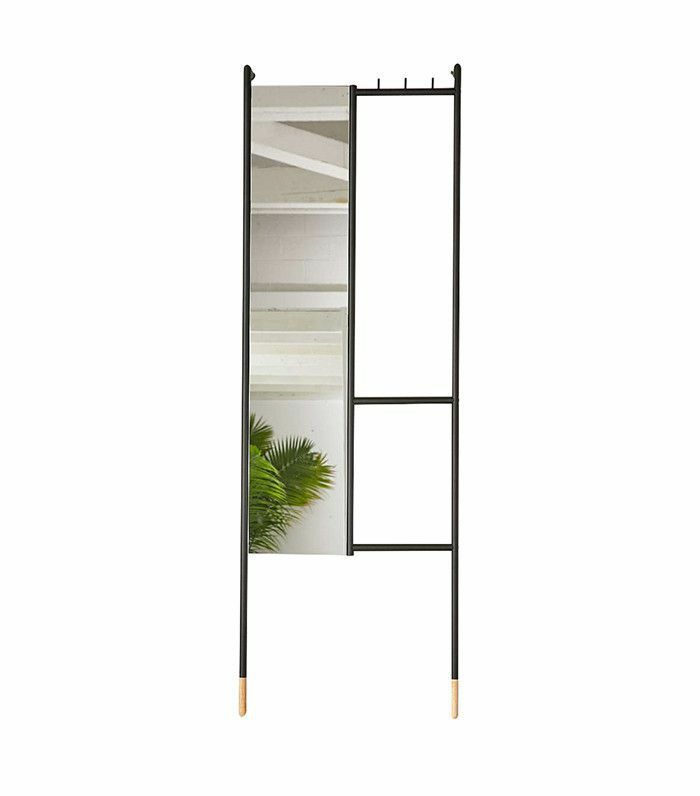 The Urban Outfitters ladder below is extra practical with its mirror and hooks. Do you have fancy built-in bookcases in your living room but can't access the top shelves without a step stool? 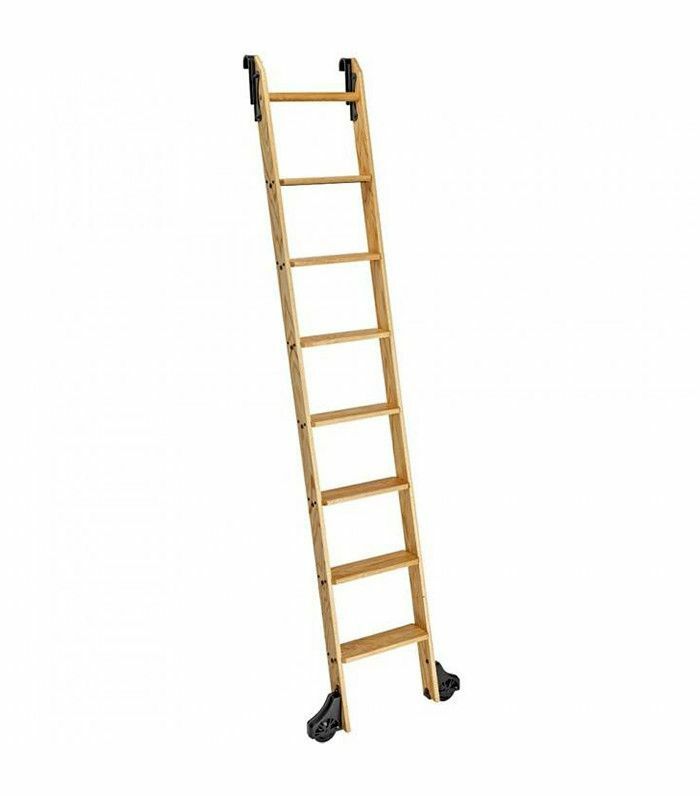 Build your own rolling ladder with a DIY-kit from Rockler. High library shelves can be hard to reach, and the same goes for kitchen cupboards. 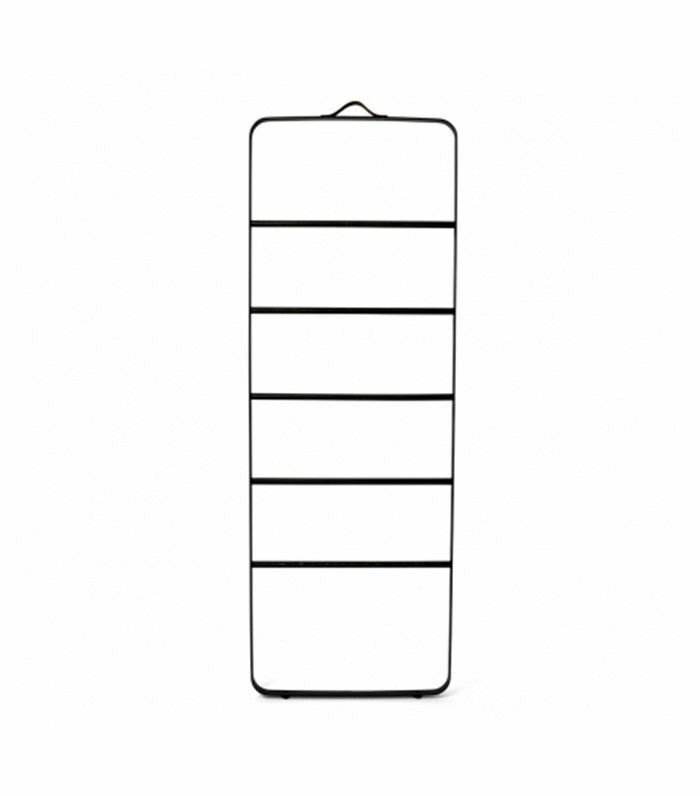 Regain access to your cupboards by adding a rolling ladder. This is especially practical in smaller kitchens where storage space is of premium importance.